Pärnu has long been known as the summer capital of Estonia. 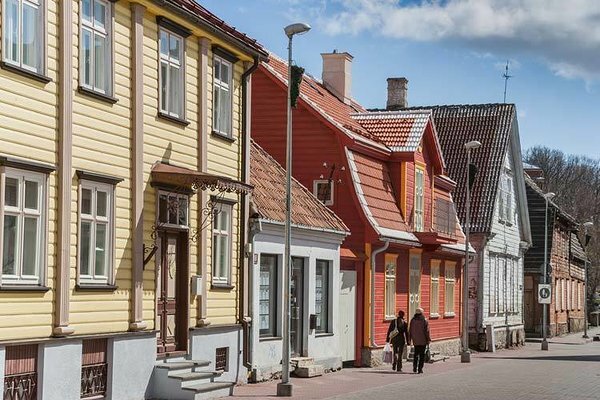 Situated in a protected sandy bay on the country’s south coast, 90 km from Tallinn, the county boasts 242km of coastline and is rich in history. Dating back to 9000 BC and well documented in the 12th and 13th century, its safe bay and wide estuary made a favourable harbour which was to become a Hanseatic Port and an important stop off on route to Novgorod in the 15th century. The first bathing establishment was opened in 1838 and was to become known as the “Mud Baths” offering spa cures using the local Pärnu mud, still practiced today. The original building accommodated 5 – 6 bathrooms that provided seawater baths in summer and operated as a sauna in winter. As Pärnu became increasingly popular, the baths were rebuilt in grand neo-classical style in 1927 and the roaring 30’s saw the town boom as one of the most sought after summer destinations in Northern Europe. Art Deco restaurants, hotels and casinos appeared along the tree-lined streets between the Jugendstil villas and the 19th century Dachas. The carefree days screeched to a halt with the outset of World War II and the ensuing Soviet occupuation saw the port of Pärnu closed to foreign vessels, relegating the city to a fishing harbour for the next 50 years and home to the largest fish canning factory in the Baltic States. 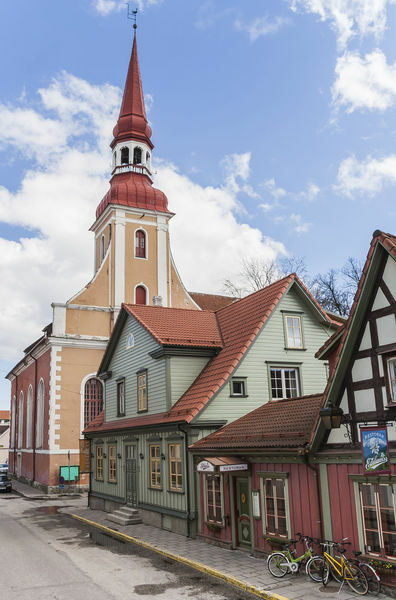 During this time key buildings which were a testament to Estonia’s history – including the Christian St Nicholas Church and the Endla Theatre, where Estonia’s 1918 Independence Manifesto was first read out –were razed to the ground. Yet the ailing tourist industry was resurrected by the Soviet regime for its medicinal benefits and once again Pärnu became a welcome summer refuge for many, particularly Russians. In 1996, following Estonian Independence, Pärnu was declared the Summer Capital of Estonia and the heydays of the 1930s have returned, with the town’s elegant charm still intact and the sandy beach, warm sea and mud bath treatments the main attraction. The Red Tower was built in the 15th century as a prison when Pärnu was a Hanseatic town and fortress. The granite tower got its name from the red brick that used to line both the inside and outside of the building. In the 17th century, the tower had four storeys and a prison cell that was 6 metres deep. Three storeys have been preserved and the building is currently derelict. 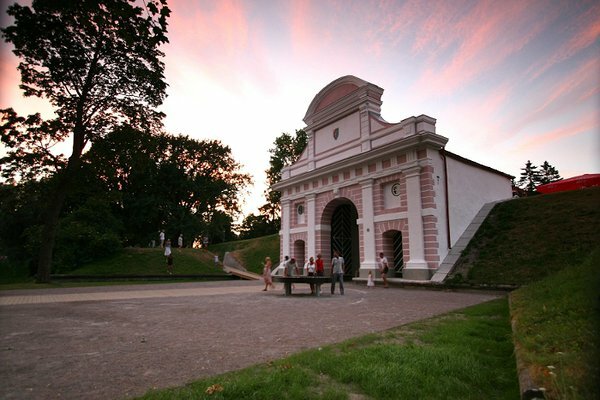 The “Tallinn Gate” is the only remaining 17th century gate of any Baltic country. It was built between 1675 and 1686 and probably designed by Swedish Erik Dahlberg. The remaining city walls and gates were ripped down in the 19th century as the old city expanded. 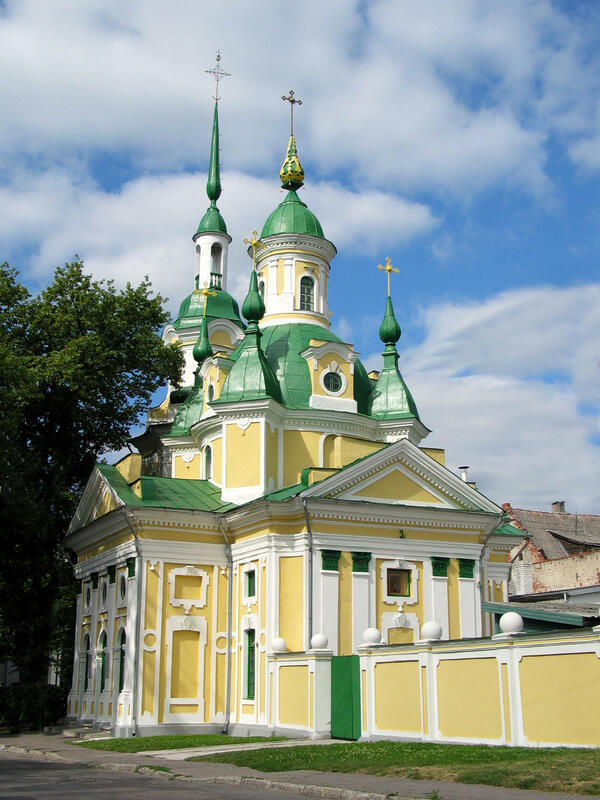 St Elizabeth Church was founded in 1741, when the Russian empress Elizabeth donated 8,000 roubles for its construction. Building started in 1744 and was finished in 1747 under the guidance of master builder J. H. Güterbock from Riga. The resulting building is one of the finest ecclesiastical baroque buildings in Estonia, characterised by its relatively grand proportions and simplicity of decoration. The organ dates from 1929 and is reputedly one of the finest in Estonia. St. Catherine's Church was built in 1764 – 1768 and named after the empress, Catherine the Great, who presented the church to the city after a visit in 1764. It is built in a baroque style by architect P. Jegorov, and has been a source of inspiration for subsequent Russian orthodox church architecture in the Baltic states. It displays a large central dome with a lantern, flanked by four smaller turrets and a western tower with a needle-pointed spire. The Town Hall is located in a house built in 1797 by the merchant P.R. Harder; with its early-classicist decor, it was one of the most prominent houses in the city at the time it was built. In 1804, the Russian czar Alexander I stayed in this house during his visit to Pärnu. In 1839, the house started to function as the town hall and the old medieval town hall was torn down. On the shady tree-lined walk to the beach the streets are lined with typical 19th century Dachas –summer homes varying from the modest to the extravagant. Dachas originated as small country estates gifted by the tsar, and have been popular among the upper and middle classes ever since. During the Soviet era, many dachas were state-owned, and were given to the elite of the Communist Party of the Soviet Union. As the town expanded in the 19th century the colourful character of its wooden houses and shops took shape in the old town centre which is now filled with cafés and restaurants, edging on to the modern town to the North and to the parks, boulevards and beach to the West. The Kuursaal (Resort Hall), restaurant and music salon built in the 1880s has served as the centre of Pärnu's cultural life for well over a hundred years. Popular with locals and tourists alike for its musical afternoons at the bandstand and dancing in the cavernous hall (lined with elk antlers) by night. Traditional food includes dumplings in mushroom broth and oxtail with roast beetroot, accompanied by cold beer. To stop sand build-up in the river mouth, jetties made from logs were built in 1769, as ordered by the empress Catherine II. In 1863-64, new jetties were built of rocks that were transported there from the beaches of Häädemeeste and Kihnu.The jetty on the left bank of the river has since become a symbol of Pärnu and local legend has it that young lovers who steal their first kiss there will be blessed with a long and happy marriage. The Hedon Spa and Hotel actually dates back to 1838 and was the site of the original Pärnu mud baths, located directly at the beach. The current building dates from 1927 after the original wood building burnt down during World War I. In the Soviet era, the so-called temple of health, built in the neo-classical style, started to serve the health of the working people. After Estonia’s independence, it became deserted and lost its function. 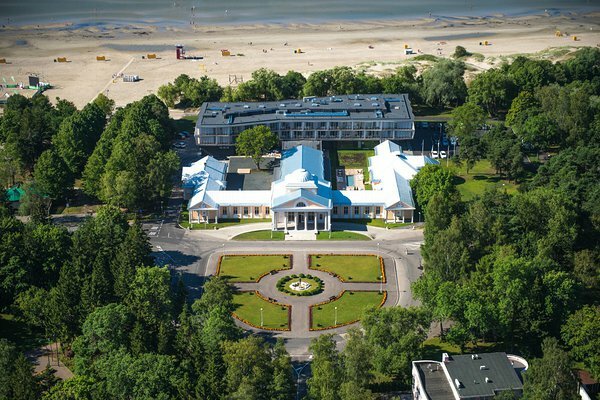 In 2014 it was reopened as a state of the art boutique spa and hotel and has become one of Pärnu’s leading attractions. 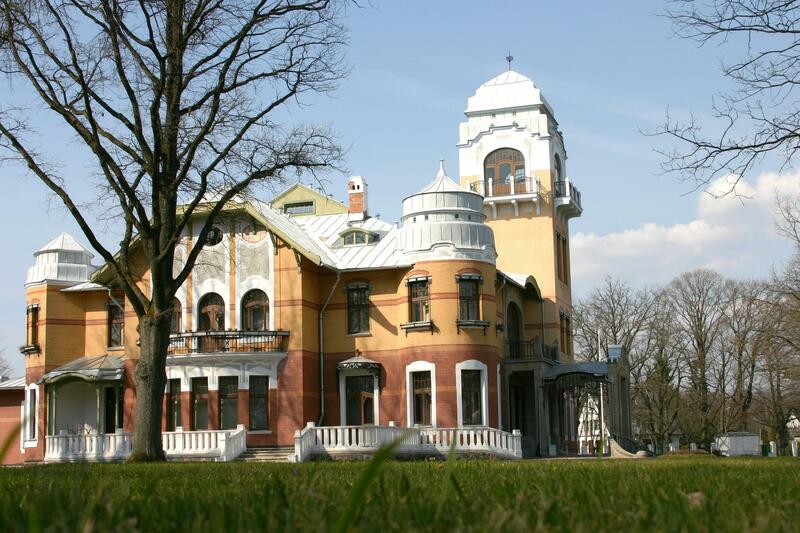 Villa Ammende is Pärnu’s most important art nouveau property, dating from 1905 and built by the wealthy German merchant Hermann Leopold Ammende. In 1927 the Ammende family moved back to Germany and the house was put up for auction. The ensuing years saw it operate in many capactiies including a casino during the decadent 1930’s until it was seized by the Russian military authorities and converted into a “health improvement establishment” in 1940. In 1995 the house was restored and opened as a luxury private hotel and restaurant. The original “Endla Theatre” was destroyed in a fire in 1944. The decision made in the Soviet times was not to restore it in its original location as the theatre was a national symbol too important for the Estonian people. It was duly ripped down and replaced with a typical Stalinist building in 1967 in the central square which had been reserved for the Executive Committee of Pärnu Oblast in 1952. The “Rannahoone” – Beach House - is a recreational building designed by Olev Siinmaa and completed in 1938 to celebrate the 100th anniversary of Pärnu as a resort. It offered changing cabins, café and rental of beach equipment. The building, back then very modern, has the shape of a ship on its side. Much of the original building was destroyed by storms in 1967 but it is still an interesting piece of archictecture with its focal point of a mushroom shaped balcony. 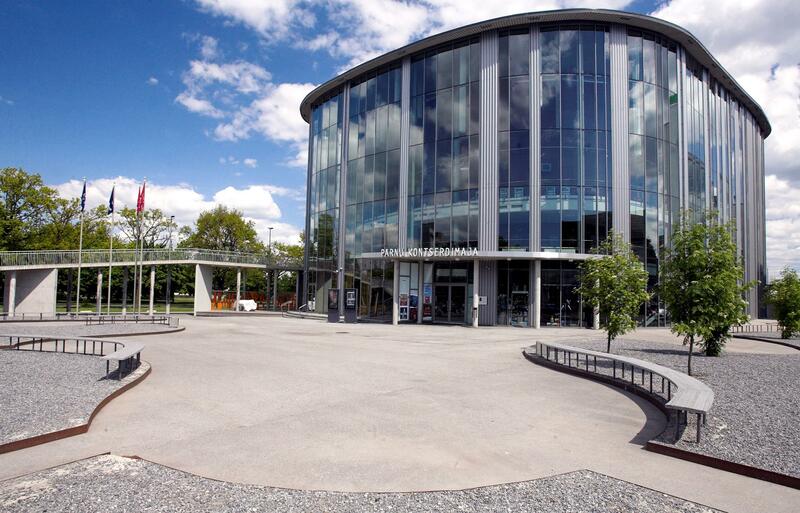 The 1000 seater Pärnu Concert Hall was built in 2002 with the help of lobbying from artists including Neeme Järvi. 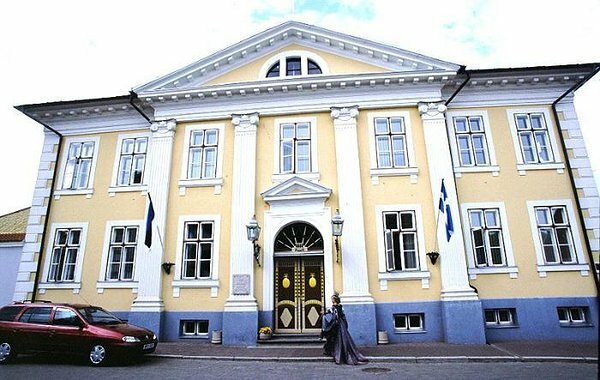 Today it is home to the Pärnu Music Festival and Järvi Academy and also plays an important role in the city’s cultural life. The building has two halls with excellent acoustics that can be used for almost recitals, chamber music and symphonic concerts.